In my last post I decried the dehumanization of microhistory in favor of “commodity history” but truth to tell there is definitely some value in the latter, particularly in reference to the big three global commodities: salt, sugar and pepper. When it comes to Salem’s history, pepper is big: Salem merchants established trading contacts in Sumatra in the 1790s which gave them a near monopoly on the lucrative trade for nearly fifty years, during which 179 Salem ships sailed to the Aceh Province, bringing back millions of pounds of pepper, much of which was re-exported to Europe. 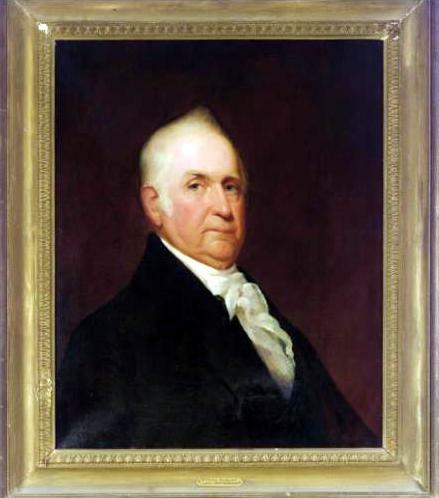 The immense profits from pepper–black gold–built the street on which I live and made Salem Salem: whenever I get depressed about living in “Witch City”, all I have to do is look at the city seal, emblazoned with the motto “to the farthest points of the rich East”, the source of all that pepper. At the intersection of global history and local history is national history, and here, too, pepper plays a big role: when the crew of the Friendship were massacred by natives of the chiefdom of Kuala Batu in February of 1831 while their captain, Charles Endicott, was ashore securing his cargo of pepper, the United States Navy responded with at retaliatory expedition a year later: Salem’s trade was apparently “too big to fail” at the time. As daring and entrepreneurial as Salem’s pepper merchants were, they were just the latest purveyors of an eastern commodity that had long been desired in the West. Alexander the Great supposedly developed a liking and a name for it, and centuries later Pliny the Elder observed that “its fruit or berry are neither acceptable to the tongue nor delectable to the eye: and yet for the biting pungency it has, we are pleased with it and must have it set forth from as far as India.” Marco Polo presented pepper as one of his wonders of the world, and it was so valuable in the Middle Ages that it was accepted as currency, collateral, and a very appropriate gift for a King. 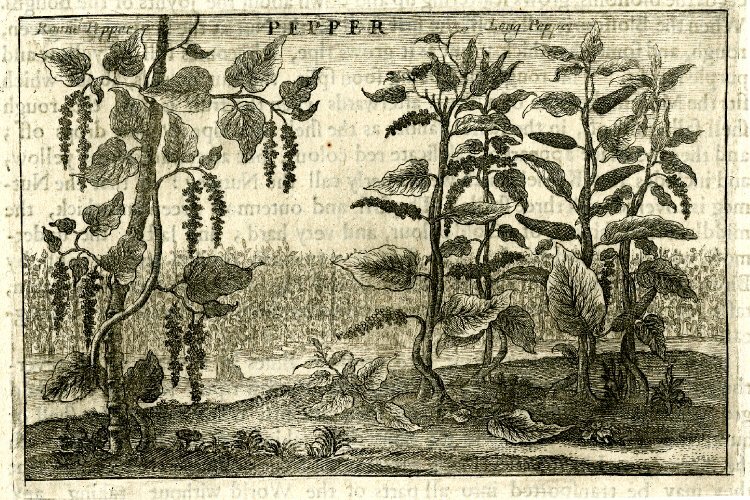 Pepper was a prominent motivation for the discovery of a sea route to the East, which would effectively bypass Muslim middlemen, and consequently Portuguese, Dutch, and British ships became the major European suppliers in the early modern era. 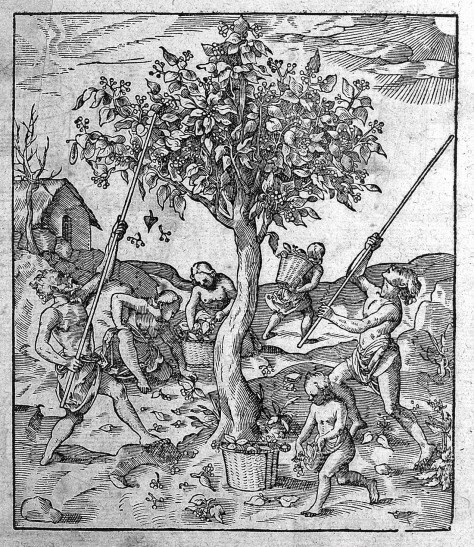 What is so interesting to me about the Salem re-export trade in pepper is that the Americans replayed the European role a few centuries later: in seeking to cut out intermediaries, they became the intermediaries themselves (for a while). 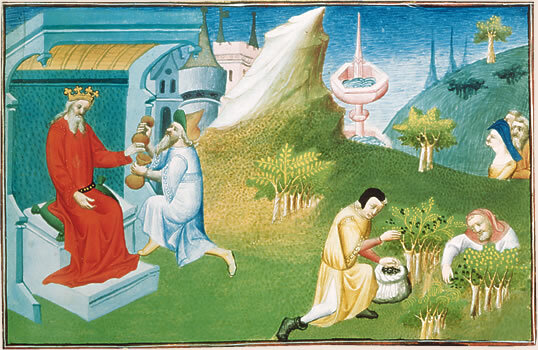 Procuring Pepper: harvesting and presenting pepper in Marco Polo’s Livre des Merveilles du Monde, MS Français 2810 , Bibliothèque Nationale de France; more harvesting in Les oeuvres d’Ambroise Pare … / Diuisees en vingt sept liures, auec les figures et portraicts, tant de l’anatomie que des instruments de chirurgie, et de plusieurs monstres, 1579 (Welcome Library Images); pepper varieties in Johannes Nieuhof’s ‘An Embassy from the East-India Company of the United Provinces, to the Grand Tartar Cham Emperor of China’ (London: 1669, British Museum); An East India Company catalog from 1704, British Library; James Frothingham, Portrait of Captain Joseph Peabody (1757-1844), privateer, shipowner, and Salem’s richest pepper importer.